"A top chalet in Tignes, with hot tub vistas over the Tignes lake, to the mountains beyond. Perfect for sole-occupancy, especially if your group is looking for a high level of comfort and good access to the slopes." The stylish and extremely comfortable Chalet Cairn has proved hugely popular with our guests over the last several winters. Ski access is simple, with the Aeroski gondola and the Palafour chairlift both within 3 minutes’ walk, and a ski shuttle bus stop just outside for access to the lifts at Val Claret. The resort centre of Tignes le Lac is also only a couple of minutes’ easy walk. The owner takes great pride in this chalet and is constantly updating it to keep it in a perfect and comfortable condition for our guests. The chalet has been recently updated with new lounge furniture and new bedroom furnishings with a TV/DVD in each bedroom and outside there is a unique ‘cosmic sauna’. We had a great week of skiing in this resort. The Chalet was quite small, this included small rooms and a small - medium size living room. We expected chefs in the chalet but instead had two young lads, who did a very good job with good food and very good customer service. Tignes le lac has quiet apres ski, we ventured over to Val Claret on one night which does have a better night life. First times to Espace Killy, Good holiday would definitely go again to this ski area! 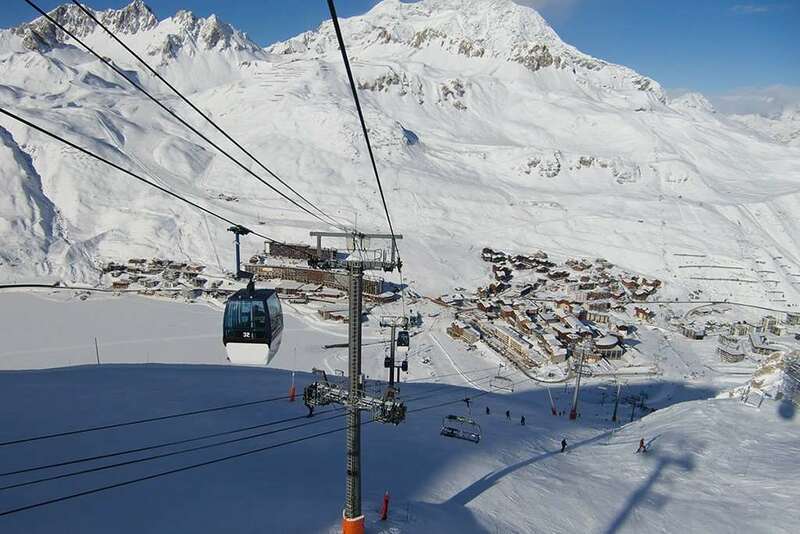 Tignes is a great resort with plenty of off pist skiing. Unfortunately there hadn’t been snow for weeks when I was there but the slopes were kept in excellent condition all things considered. Chalet Cairn is a good chalet but probably isn’t a 5 star as it is advertised and the bedrooms are very cosy. The chalet staff were excellent and more than made up for the accommodation, food and wine were fantastic. Great Resort with good chalet in prime location for the town and lifts.